with an Award-Winning Real Estate Agent/Broker in Seattle. Whether you are buying or selling your 1st home or your 10th, you want to be represented by the best Broker/Realtor in the Seattle area to ensure the best deal. Click now to contact Jennifer Suemnicht and schedule your free consultation. Pro Tip: In addition to expert market knowledge, counsel that helps you to optimize the value of your listing or offer, and market-savvy negotiation skills, Jen’s Realty offers valuable property-hunting tools to our clients that other realtor/brokers don’t provide. Looking for the best home for you in the Seattle area? 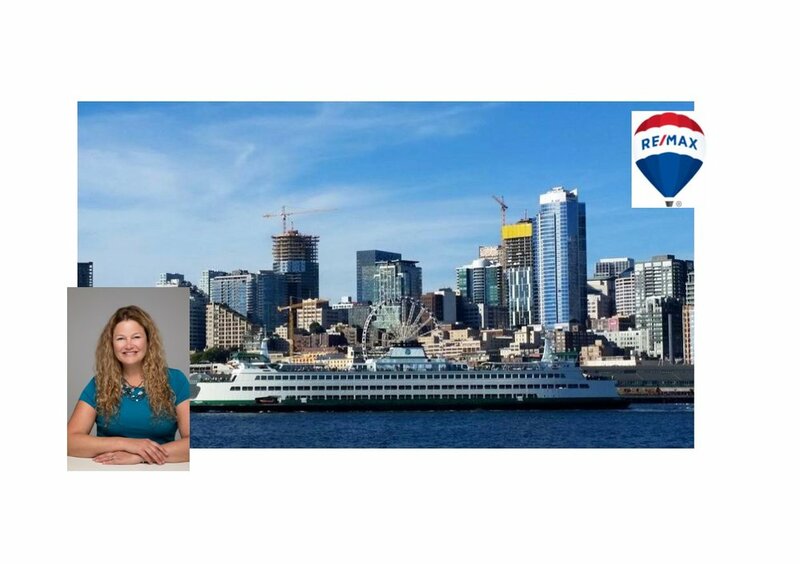 Based in West Seattle with offices in Seattle and Bellevue, Jen’s Realty has experience with every type of residential property. Let’s create a plan perfectly suited to YOUR needs. You will benefit from working with a real estate agent who is knowledgeable in a variety of properties - such as: single family homes, condos, townhomes, duplex, triplex, multiplex, coops, fixers, flippers, new construction, and more including vacant land from Marysville to Tacoma. Whether it’s your first property sale or your 10th, Jennifer Suemnicht has the experience to work with you to maximize your profit. Contemplating your next move? Jennifer really listens to your goals and provides information to benefit you. Buying and Selling? Jen’s Realty can help you with both. Jennifer also specializes in helping families with trust and estate sales with compassion and professionalism. Jen’s Realty excels at Jennifer has a eye for opportunity that will maximize your profit. Your own home is an investment. Find out how you can increase your home's value. Are you looking for homes to flip or developing fixers to optimize your return on investment (ROI)? Have you considered keeping some rental properties as long-term assets with rental income? Let’s build your empire together! Winner of Seattle Magazine’s Five-Star Real Estate Agent Award for “Outstanding Service & Client Satisfaction,” Jen’s reputation for excellence is built on responsive customer service, ethical conduct and consistently maximizing the return on your real estate investment. Click on this flyer for a video then scroll down for the interactive floor plan with photos from every angle. Be sure to see both levels of this spacious remodeled home! Contact me anytime for info or a tour - or visit an Open House Friday, Saturday or Sunday, April 19, 20, or 21st, 1-4pm. Don’t miss this fabulous home! In addition to maximizing your real estate investment, I enjoy helping communities by volunteering with the American Red Cross, Westside Baby, Susan G. Comen, Mary’s Place, Puget Sound Blood Center, and other nonprofit organizations. I look forward to talking with you to learn about the things YOU care about - including how to maximize the value of your real estate investment. Get insider tips for getting the most value for your real estate investment! Thank you for subscribing! You will receive our newsletter with tips for property buying and selling in our region! If you want to talk directly with the expert - call or text Jennifer Suemnicht at 206-550-1676 or email jen@jensrealty.com.